Although the band had to perform “Ticket To Ride” three times that night to fill the sets, The Mahoney Brothers (donned in Meet The Beatlesstyle black turtlenecks) realized they had stumbled upon something special. They were immediately invited to return to the club for a number of performances that month and The Mahoney Brothers Long Live The Beatles show was born. By the fall of 1978, Long Live The Beatles growing reputation and a sold out show for 10,000 people at Six Flags Great Adventure brought the brothers to the attention of the producers of the Broadway Production Beatlemania. 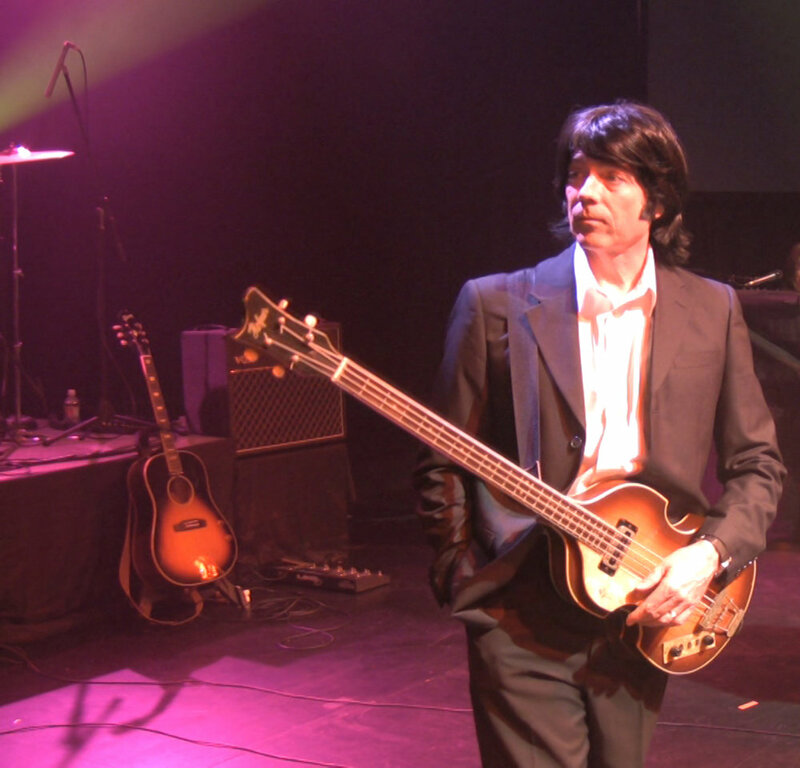 The producers were blown away by the brothers’ attention to detail, including right-handed guitarist Tim who had recently taught himself to play bass left-handed to accurately portray Paul McCartney. An offer was made to Brian and Tim to audition for the roles of John Lennon and Paul McCartney respectively. The brothers passed the audition and soon began daily rehearsals on Broadway for their debut on the “White Way”. While Tim and Brian were still in rehearsals in 1979, Beatlemania closed on Broadway. But the brothers wasted no time and secured themselves a multi-year deal for Long Live The Beatles with Six Flags Entertainment, enlisting youngest brother Mike on the drums as “Ringo” along the way. The show was performed for an estimated three million people at the Six Flags parks from 1979-1984. 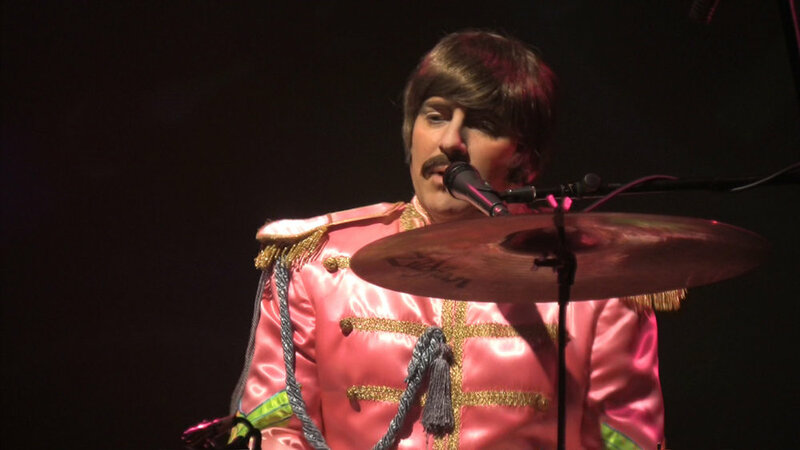 During this period the band would also often open for themselves, performing their own original music as the "warm-up" act for Long Live The Beatles. This led to the release of their first full-length original album Running Too Longin 1982, featuring the regional radio hit “Send Me A Photograph” and a note-for-note cover of The Beatles “Help!”. The brothers would also reach another milestone during this period becoming the first Beatles tribute band to recreate a Beatles concert at a major league baseball stadium, performing for more than 37,000 rock n' roll and baseball fans at Philadelphia’s Veterans Stadium in 1980. After extensive touring in the U.S. and Canada in 1985, the brothers were asked to join the cast of the Las Vegas Show Of The Year, Legends In Concert. The band accepted the offer and spent six months in 1986 headlining in Legends at Caesars Hotel And Casino in Atlantic City. Although The Beatles would later become a staple of Legends, The Mahoney Brothers were the first Beatles act to join the production. As much as the band was enjoying performing the music of The Beatles, their time in Legendsinspired the brothers to expand their musical impersonation act to include many of the other outstanding artists of the last fifty years of popular music. The result was the debut of Jukebox Heroes Live! in 1987. In the last thirty years, both Jukebox Heroes Live! and Long Live The Beatles have evolved into full multi-media spectaculars, bringing the brothers (joined by the multi-talented Jay Swanson as “George Harrison”) all over the globe. From crowds of 80,000+ at Giants Stadium and Disney’s Epcot Center, to multiple sold-out casino performances at The Borgata in Atlantic City and The Biloxi Grand in Mississippi, to national TV appearances on Entertainment Tonight and MTV, the band has captivated audiences young and old for more than 30 years and shows no signs of stopping anytime soon. 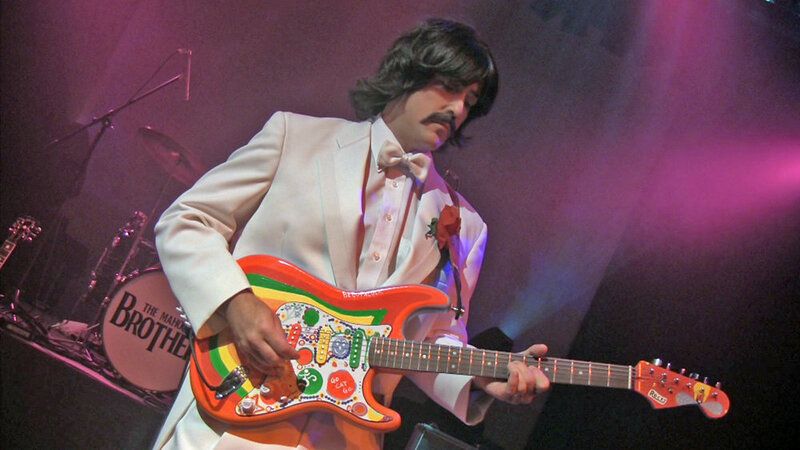 Whether performing an intimate, private performance of Long Live The Beatles or a full production multi-media tribute, The Mahoney Brothers still take great pleasure in recreating the look, sound, and timeless music of John, Paul, George, and Ringo.